Service Manuals & Technical Reprints - Click Here! 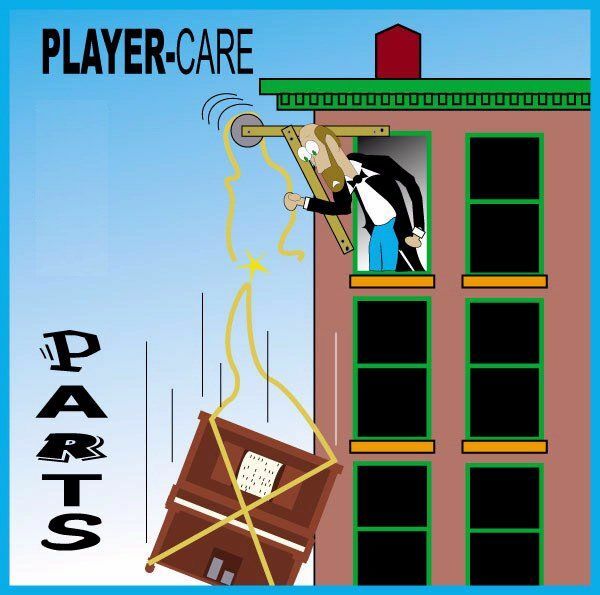 Player Piano Tubing (Updated February 1, 2019) Service Manuals & Technical Literature - Click Here! The complete list of available Player Piano Tubing. Sizes from 9/64" I.D. to 1/2" I.D. can be purchased in lengths as short as Two Feet (2 ft.) or as great as 50 Feet (50 ft.) in one-foot increments. Sizes from 5/8" I.D. to 1-1/2" I.D. can be purchased in lengths as short as One Foot (1 ft.) or as long as Eight Feet (8 ft.) in six-inch increments. Special Note: As of November 13, 2012, All tubing from 7/8" I.D. to 1-1/2" I.D. has been replaced with Twill Covered Tubing, which is markedly superior. 1) The minimum length we'll cut on any size tubing is One Foot (1 ft.) increments. 2) All of the tubing is made from natural rubber, and some is twill covered. 3) All orders must be paid in full before the goods will be shipped. so it will fit properly. You need not order the next smaller size. 5) Twill covered tubing is now available. Prices listed below. Medium Flat Rate Box, which cost $14.35. 7) All incomplete requests or orders will be discarded. 8) Once the tubing is cut, it cannot be returned for credit or refund. SPECIAL! As of Oct 10, 2016 and While It Lasts - Having closed my service/repair business, I have a collection of short pieces of tubing that were for use 'on-the-job'. If you order $20.00 of more of any size/s of tubing and you also need a short length (less than 1 ft.) of ANY size/s, AND, if I have a short piece available that is at least that long, I will sell it to you at HALF PRICE!! For example, if you order 50 ft of trackerbar tubing and you also need a six inch (6") piece of one inch (1") twill tubing, I'll sell it to you at half price if I have a piece, that's at least that long, in my collection of small pieces. All that said, you MUST specify that you'll accept the "like new" piece. How much tubing for the trackerbar? - Click Here! Removing lead trackerbar tubing. - Click Here! 01-10 ft. Price per ft. NOTE 1: Only 0.0005" under 1/4". May require glue for an air-tight fit. 1/2" rubber tubing, but not as stiff as 1/2" twill tubing. Upon receipt of your check, the order will be processed. Orders normally arrive within 7-10 days. Credit Card orders will only be accepted if the total order exceeds $15.00 in merchandise. Don't Like To Order Online?.... Call 1-732-840-8787. To determine how much tubing is required to tube the trackerbar, use the formula: (S + L) x 44 = T, where S is the shortest length (from the trackerbar to the stack), L is the longest length (from the trackerbar to the stack) and T equals the total length of tubing you will require to tube the trackerbar. The formula below was contributed to Player-Care by Jack Breen. The result, "X", is the same as the result "T" in the first formula if you have an 88-note stack. However, if you have anything less than 88 notes, the first formula will not work correctly. In the second formula "a" equals the shortest tube, and "b" equals the longest tube. "N" equals the number of notes in the stack, and "X" equals the total amount of tubing required to tube the trackerbar. Finally, be advised that having a little extra trackerbar tubing is a good thing because there are usually other devices in the system that use the same size tubing. This page was last revised on March 24, 2017 by John A Tuttle. Although I prefer that you send E-Mail, if you have a question, you can reach me at 732-840-8787. As per the Fair Credit Billing Act, your bank cannot hold you liable for more than $50.00 of fraudulent credit card charges. 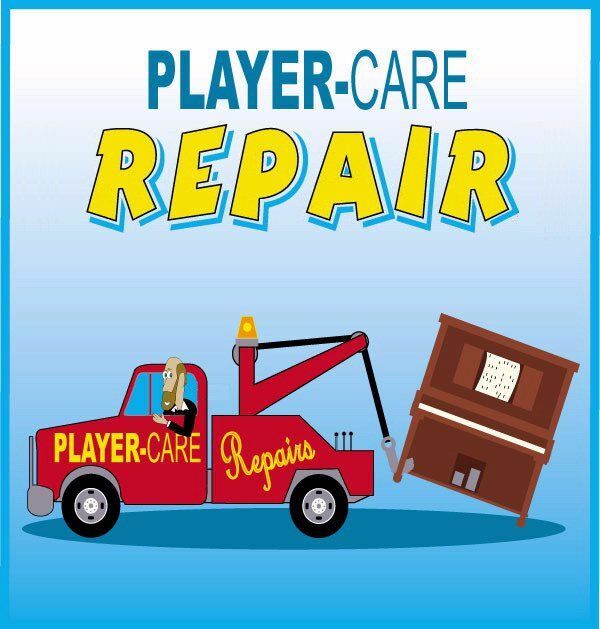 PLAYER-CARE will pay the $50.00 if the unauthorized use of your card resulted from a purchase made through our site. We are so confident of the security measures we've put in place, we'll also pay you an additional $25 just for the inconvenience!